Considering himself quite an open person, David Goodier saw a unique opportunity to learn and improve his 230-sow unit through taking part in AHDB’s pilot Strategic Farm. There has been an increase of around two pigs weaned per sow per year, from 24.57 to 26.79, showing continued improvements since joining the programme in 2016. This has also contributed to a drop in cost of production in the breeding herd, calculated at more than 3p per deadweight kilo. 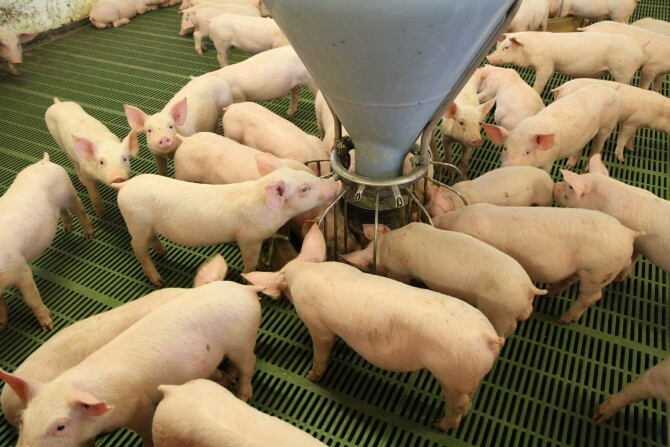 By opening up his unit to fellow producers and the allied industry, David has benefited from the pooling of ideas, with plenty of suggestions on how to help improve pig performance. The first step was to start using an electronic recording system fully for the first time as, without accurate performance data, it’s difficult to understand or prioritise where improvements need to be made. An early priority was to reduce pre-weaning mortality which, at 15 per cent, was above the industry average when the project started. David and his stockman Wayne Connell took a number of practical steps to try and get this down to around 10 per cent so that the unit can consistently wean just over 11 good piglets per litter. They achieved this within six months and have maintained these lower mortality levels for more than 18 months. First, they needed to understand why piglets were dying and began with accurate recording of the causes of death. AHDB helped tag four batches of pigs with ultra-high-frequency (UHF) tags so that information about individual piglets could be logged. Being able to record the cause of death for all piglets was key to understanding the issues and helped make more targeted management changes in the farrowing house. 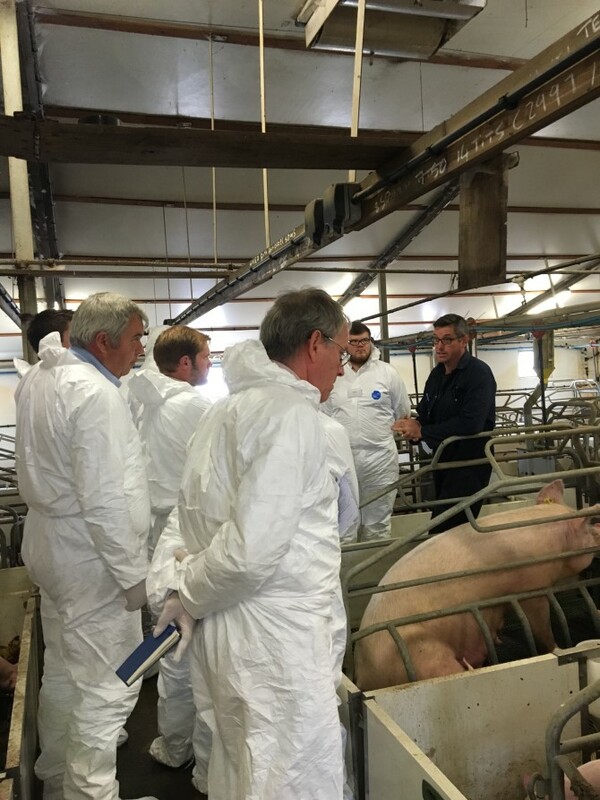 David’s vet carried out a two-day staff training course on the farm to help reduce pre-weaning mortality and Wayne also spent time in the farrowing house on one of JSR Farming’s breeding units. 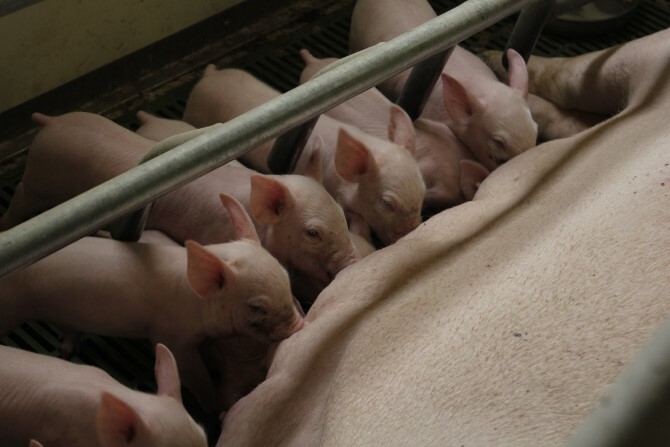 An Opticare supplementary milk feeding system for piglets has been installed in some of the farrowing pens. Initial results seem to have been improved creep intake and an increase in total litter weight and individual piglet weight and this will continue to be monitored. Changes were made to the artificial insemination (AI) service area with additional gates added to the existing boar pen and returns pen. There are now two separate AI pens to help with more accurate heat detection and improve the insemination environment for both sows and staff. The new layout also provides a post-service rest area before the sow is returned to her group. Timing of insemination is also highly important and, having mapped the timing of oestrus with the help of AHDB’s Knowledge Exchange Manager Angela Cliff, it was decided to serve each sow twice instead of three times and leave a longer time between each serve so that service was as close to the optimum time as possible. The main focus for year two has been on parity structure and gilt performance to improve numbers born per litter. Optimising gilt management right from the start will improve gilt performance, young sow retention and extend her productive life in the herd. To help monitor condition, the team is weighing gilts going into the farrowing house and again post-weaning. They are also measuring back fat. Measuring out the daily feed allowance more accurately to ensure the quantities are consistently right and regularly calibrating the feeding bucket are two further practical changes. In the finisher herd, David has made major investment in a new building to help cater for increased pig numbers being produced by the breeding herd and to enable them to take pigs to higher finished weights. Pigs have been individually tagged, then weighed at birth, weaning and a week before slaughter, to provide really detailed information on how individual pigs perform in the new accommodation and help ensure the business makes the most of the investment.